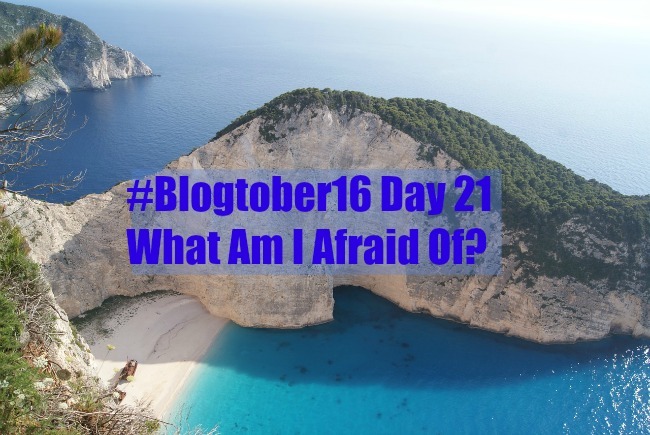 We are now three quarters through the challenge #Blogtober16 on Day 21 and today is What Am I Afraid Of? Well lots of things really. We are all scared of being ill or disabled in some way but the picture above covers my biggest fears. Going to fantastic beaches? No of course not. Flying and heights. Well not really flying, I'm OK when we are up I just hate airports, taking off and landing. 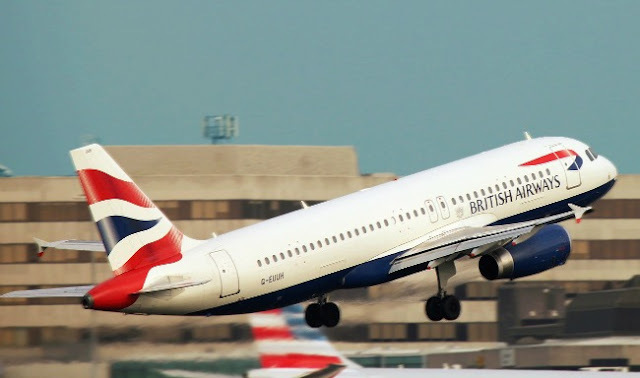 The actual flying bit is just boring. I am petrified of heights. The reason I chose Zakynthos as my header photo is because many years ago we went on holiday there. We all went to a shopping centre, I was with my daughter. She was about ten. We were looking around a department store. We had gone up some steps and were admiring the clothes when suddenly I realised I was two floors up standing on a glass floor. The wall was one huge window from the floor to the roof. I was on a balcony in a huge atrium. I froze with fear, I couldn't go forward or backwards and just sat down. My daughter guided me to terra firma! I sat down and with my eyes shut shuffled on my bottom to safety. 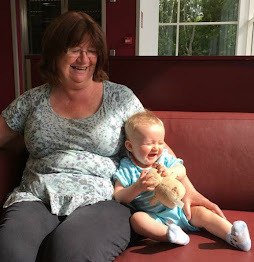 The next embarrassing moment was again with my family, this time in York. Why I thought I could do Cliffords Tower is a mystery. 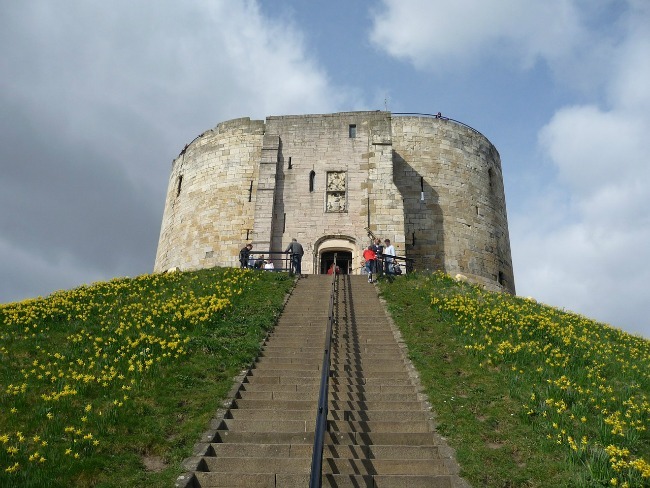 We climbed the steps then went into the tower and climbed the circular staircase. As I reached the top I started shaking and started to descend. Shouts of "It's one way!" "You cannot go down here!" echoed at my back as I ignored them all and reached the bottom safely. I haven't flown for four years. I would probably fly if I went business class as then I could avoid the crowds and the claustrophobia of those little seats. Oh yes, claustrophobia. Can't go into caves or into tight spaces either Lol. i suffer with claustraphobia too and its horrible. Flying business class would be amazing! Me too! It's not the height its the hitting the ground haha! Slightly OT but I love your photos! It seems heights is a common one- mine is escalators in particular but related to vertigo/ feeling like I will fall/ heights making me dizzy! Cannot go on them!! !